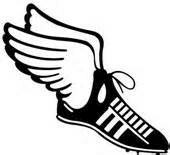 Middle School Track begins on Wednesday, April 10th, weather permitting, at Kingsford and Tuesday, April 23rd at Iron Mountain. Practice and meet schedules will be distributed at practice. Please click on the buttons below for the entry form and additional details about the program. Be sure to use the correct form for your school - Kingsford or Iron Mountain. A physical is required and must be on file with your school in order to participate. The physical must have been completed on or after April 15, 2018. ﻿﻿﻿ The Iron Mountain flag football program will be held at North Elementary Playground from 3:30 p.m. to 4:30 p.m. on Mondays and Tuesdays for four weeks. The program is open to 2nd through 6th graders from the Iron Mountain and Kingsford area. 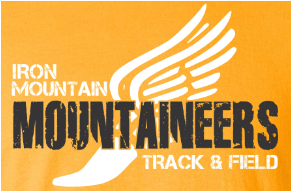 Click on the button below for the Iron Mountain flag football flyer and entry form. The Kingsford 3rd and 4th grade flag football program will be held at Woodland Elementary Field from 3:15 p.m. to 4:15 p.m. on Mondays and Tuesdays for four weeks. 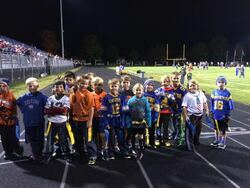 The Kingsford 5th and 6th grade flag football program will be held at KMS Field from 3:15 p.m. to 4:15 p.m. on Mondays and Tuesdays for four weeks. 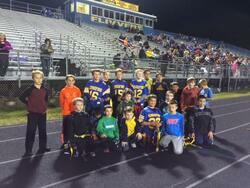 Click on the button below for the Kingsford flag football flyer and entry form. Start date to be announced. 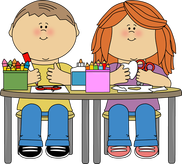 The After School Art Clubs are held in the Art Room at North Elementary School of the Arts and the Woodland Stem Room. ​The instructor for the North Art Club is Michele Haferkorn and at Woodland the instructors are Katie Burby and Ashton Verley. The Art Club is a "make and take" format. Contact IM-K CS for information on the next club. forms for the Summer Recreation programs and Science Camps are now available. Please click on the "Summer Recreation" link on the top left side of this page.